Andrew Dale Racing continued its strong form with a win and two placings at Ardlethan on Saturday. Hurricane Jack came good on his short-priced favouritism to claim the final race of the day. 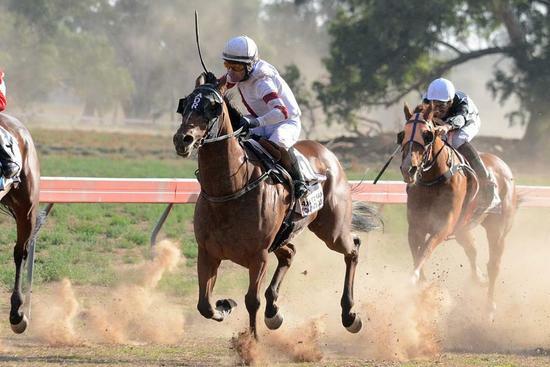 The five year-old gelding’s win in the Class B Handicap (1200m) was his first victory for the stable after finishing second in both of his past two outings. In earlier contests, Biding Time ran third in the day’s main race, the 1600m Ardlethan Cup, while It’s A Fireball was second in race five. Andrew Dale said it was another pleasing trip after having two winners and a second-place getter at Berrigan a week earlier. “It’s been good to go to the picnics and non tab meetings over the last two weekends and find some form with a number of our horses,” he said.